Na domačo stranPoročanje v živoSeznam poker turnejWSOP2013 World Series of PokerEvent #29: $5,000 H.O.R.S.E. Tom Schneider Captures Event #29: $5,000 H.O.R.S.E. Gold Bracelet ($318,955)! It's all over, and Tom Schneider has done it! 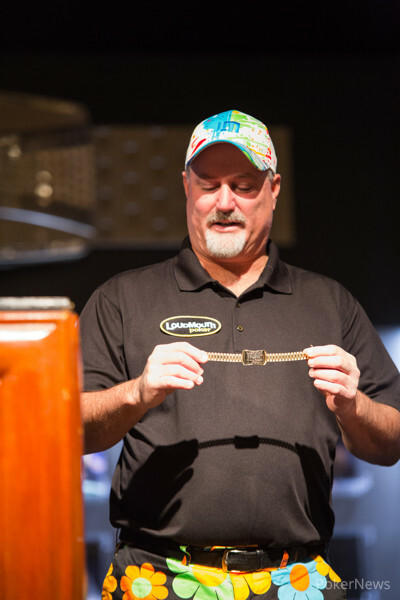 In just over a week's time, Schneider has secured his second gold bracelet here at the 44th annual World Series of Poker. 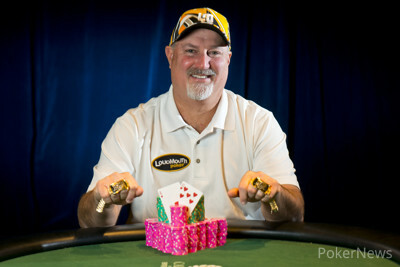 On June 9, Schneider won Event #15: $1,500 H.O.R.S.E. for $258,960. He's again recognized as part of the elite club of players to win more than one bracelet in a single year, and belongs to an even more elite club of players to win four pieces of WSOP hardware. Coming into the fourth and final day, Schneider had the big chip lead. He held nearly 64% of the chips in play and never gave it up. After Viatcheslav Ortynskiy fell in fourth place and Greg Mueller hit the rail in third place, all that stood between Schneider and the gold was former WSOP gold bracelet winner Benjamin Scholl. Scholl's chip deficit was big, and he could never really get anything going in the few hands that heads-up play lasted. In the end, Schneider edged him out in the final confrontation during a hand of hold'em, and Scholl earned nearly $200,000 for his runner-up finish. On the turn with the board reading , Tom Schneider and Benjamin Scholl put all the money in. 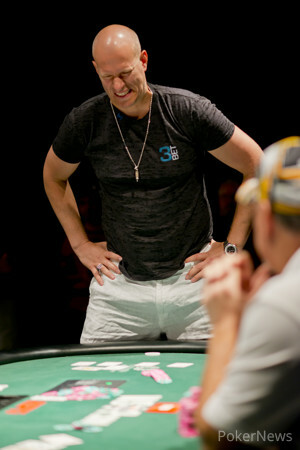 Schneider was in front with the and looking to clinch his second World Series of Poker gold bracelet within a week, both in H.O.R.S.E. Scholl was at risk holding the for a second-best pair. The final card to the board on fifth street was the , pairing the board and locking up the win for Schneider. 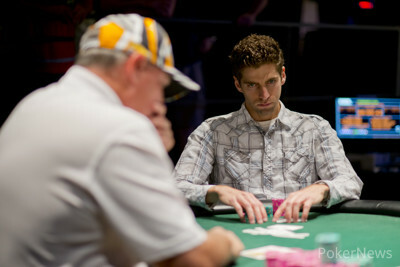 Scholl was eliminated in second place and earned himself just under $200,000 for his efforts. "Tom Schneider is my f***ing hero!" was the yell from behind the media table. When we turned around, it was none other than Mike "The Motuh" Matusow coming to sweat his friend. "I love his wife more, though," joked Matusow. From the button, Tom Schneider raised. Benjamin Scholl called from the big blind, and the flop came down . Both players checked. Both players also checked the turn card, then Scholl checked the that hit the river. Schneider fired a bet, and Scholl check-raised. Schneider folded, showing the , and Scholl scooped the pot. "I guess I could've just checked the river," said Schneider after the hand. On third street, Benjamin Scholl brought in, and Tom Schneider called. On fourth street, Schneider led with a bet, and Scholl made the call. On fifth street, Scholl bet, and Schneider called. On sixth street, both players checked, then also checked seventh street. Scholl showed the from the hole for two pair, and Schneider mucked his hand. On third street, Greg Mueller brought in, Tom Schneider completed, Benjamin Scholl called, then Mueller raised. Schneider reraised, Scholl folded, and Mueller just called, claiming that he could get away if Schneider paired his king on fourth street. On fourth street, Schneider bet to put Mueller all in, and Mueller call. As the boards ran out, Mueller picked up the lead on fifth, but then fell behind on sixth. Although Mueller made a flush on seventh street, Schneider boated up and eliminated Mueller in third place. Can Schneider Seal the Deal on his 4th Bracelet & 2nd H.O.R.S.E. Title in of the 2013 WSOP?